T3 Agenda: The Halo Sport, a neuro-stimulation headset. VW using VR to design the new Golf. And more! We've seen plenty unique and odd headsets over the years, but not many that aim to improve your cognitive control over your muscles. That's what the Halo Sport claims to do, using a process called neuropriming to stimulate your brain's motor cortex. 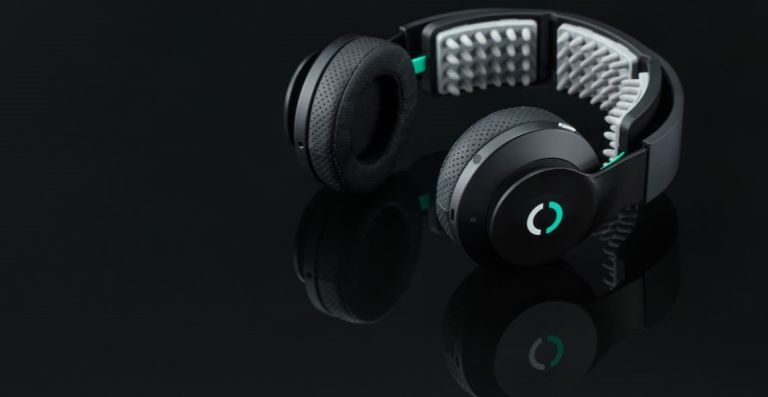 Via a set of foam nibs in the headband of the Halo Sport, the headset is meant to improve the connections between your brain and your muscles, thus improving overall motor function. You can even listen to your own music or podcasts while you're at it. It comes with an app for iOS and Android, and can be yours today for $749 (£574). Engineers and designers at German car maker Volkswagen have been using VR as part of its prototyping process. In order to help design the next generation of Golfs, the firm's IT Virtual Engineering Lab has created a VR prototype model and is using the 3D render to help envision innovations in a whole new light. Volkswagen is using virtual concept cars for the development of production models. The next Golf generation is being developed with this new tool. The virtual concept car will also help save development costs since the number of physical prototypes which need to be produced individually in a costly process can be reduced. Australian boot maker JM Williams has partnered with a French motorcycle firm Blitz Motorcycles to create a new custom set of footwear and a brand new motorcycle. The Scrambler boots, come in two leather options (chestnut crocodile and New Zealand black cowhide) and will be priced at £4,995 and £595. Both have a tread rubber sole and were built using 85 handheld processes. The RM WIlliams x Blitz motorcycle will follow a similar design scheme to the Scrambler boots, featuring an exotic chestnut on its saddle, handlebar grips and tank straps. It'll come with a price tag of £40,000. Want to become your very own barista? Sage has you covered with the Oracle Touch, a coffee machine that's been designed to deliver true, coffee shop-quality coffee you’d expect from a manual, commercial espresso machine, but in the comfort of your own home, at the simple touch of a button. Simplifying the steps of traditional automatics, The Oracle Touch enables you to swipe and select from a full menu of classic café favourites – espresso, Americano, latte, flat white, or cappuccino – and includes the option to customise them based on taste preferences. The Oracle Touch (£1,999.95) is available for purchase exclusively at John Lewis from today until 30 November and other selected retailers starting December 2017. Why not check out... We listened to the Sky Soundbox. Here’s what we thought!